(Reuters) - Two more men have been arrested for threatening New York police, including one who called the precinct headquarters of two officers killed as they sat in their patrol car and asked to speak to one of them, a police spokesman said on Thursday. 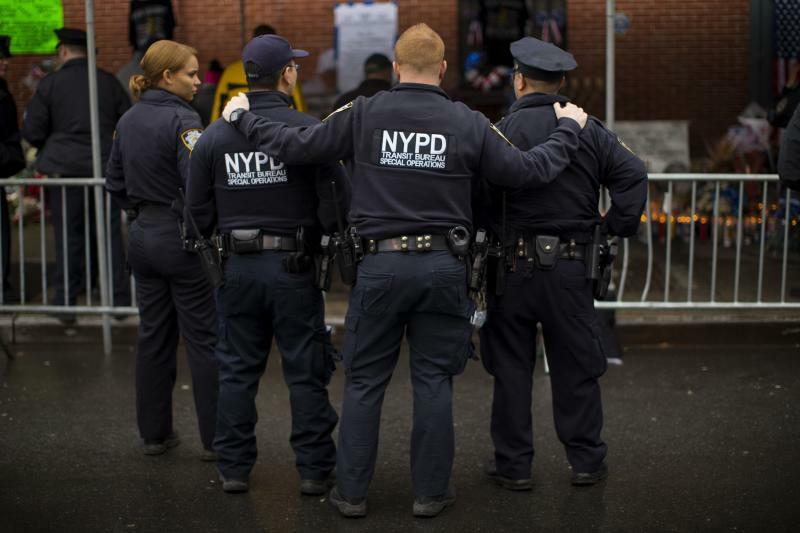 The arrests bring to six the number of those detained for threats against the New York Police Department since officers Rafael Ramos and Wenjian Liu were shot on Saturday by a gunman seeking revenge for unarmed black men killed by police. 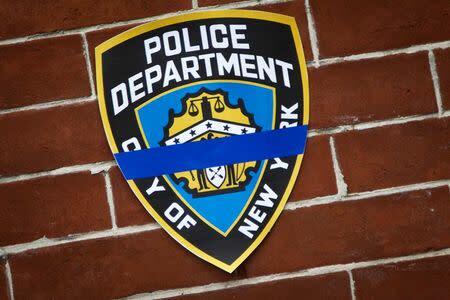 Tyrone Melville, 41, of Manhattan, was arrested on Wednesday after he allegedly called the switchboard of Brooklyn's 84th Precinct, where the slain officers were based, said Sergeant Carlos Nieves, a police spokesman. Requesting to speak to Ramos, Melville asked if the bullets had been removed from the dead officer's head so "he could kill more cops," Nieves said. Melville was charged with making terroristic threats, a felony, and aggravated harassment, a misdemeanor. Jose Maldonado, 26, was charged with making terroristic threats after allegedly threatening on his Facebook page to kill police officers and posting pictures of weapons, Nieves said. Maldonado also was arrested on Wednesday. Melville is being represented by a public defender who could not be reached for comment. Information about Maldonado's legal representation was not immediately available. Four other people have been charged with making terroristic threats or making false 911 calls, Nieves said. ABC News reported that the department had received more than 40 threats since Ramos and Liu were shot. Nieves could not confirm that number, but said investigations were continuing. Compared with other countries, the United States has a strong guarantee of free speech even when the speech displays racism, hatred or violence. State laws, however, generally make it a crime to communicate a specific threat against a police officer or anyone else. So despite the federal speech guarantees, prosecutors have won convictions for threats against officers. U.S. Vice President Joe Biden will travel to New York to attend the funeral service for Ramos on Saturday. Funeral arrangements for Liu, whose family is in China, are still pending. The officers were shot in their patrol car by Ismaaiyl Brinsley, 28, who linked his plans for the attack to the killings of unarmed black men by white police officers in New York and Ferguson, Missouri. Brinsley, who had an extensive criminal background and shot his ex-girlfriend in Baltimore before shooting the police officers, killed himself after Saturday's shooting. The officers' slaying shocked a city that has seen largely peaceful demonstrations after decisions by grand juries not to indict white officers in the Missouri and New York deaths. Protests flared into early Thursday in Berkeley, Missouri, a St. Louis suburb where a white police officer fatally shot a black man who brandished a gun at a gas station on Tuesday. The incident occurred just a few miles (km) from the site of the Ferguson shooting.